The Center has always been a place of change. It changes the students and staff who take advantage of all it has to offer, and it changes the lives of the people who have the good fortune to visit. As 2016 ended, there was change from within the Center and change for the Friends of Batahola (FOB) board. 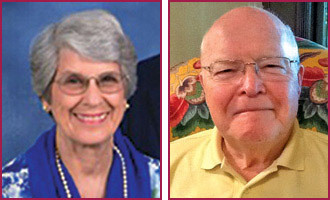 Recently, we lost two of our past board members, Mary Ann Antrobus and James O’Beirne. Mary Ann was one of the founding members of FOB and James was not far behind her. Both were instrumental in developing FOB and guiding it to where it is today. Both will be missed for the great people they were and for their many contributions to the board. (See story below.) 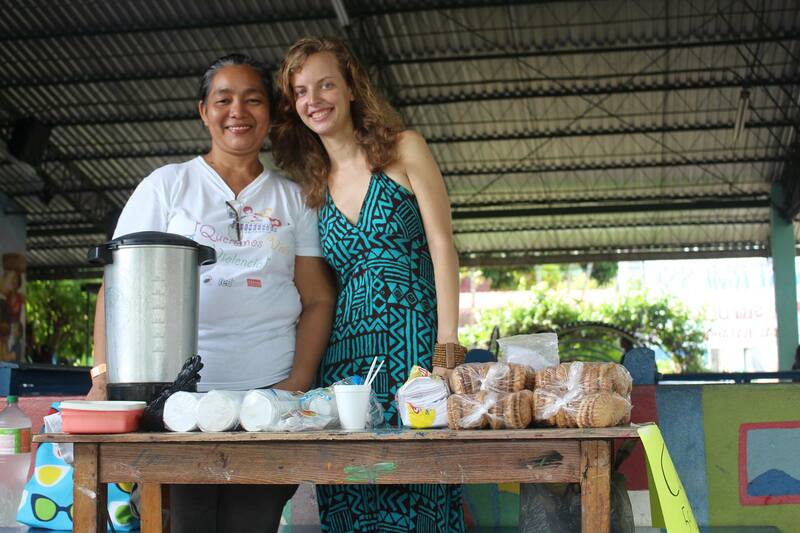 Another change is that after 12 years of dedicated service to the Center and the people of Nicaragua, Jennifer Marshall, our General Coordinator, has left to pursue her passion for the arts. Jennifer came at a time when the future of the Center was in doubt. She has been instrumental in leading the Center to stability and to a clear vision of its mission and future. She has left her own indelible mark on the Center and will be greatly missed. Sonia Oliveras, the Center’s Formation Coordinator, has been named General Coordinator. Sonia was a student at the Center years ago and has been a long time management team member. The one constant I know is that through all of the years and all of the change, the Center’s founders, Sister Margie and Father Angel, continue to watch over all that we do. We are truly blessed! Because of the scholarship provided by the Center, Regina Lacayo was able to attend college, graduate, and find meaningful work. 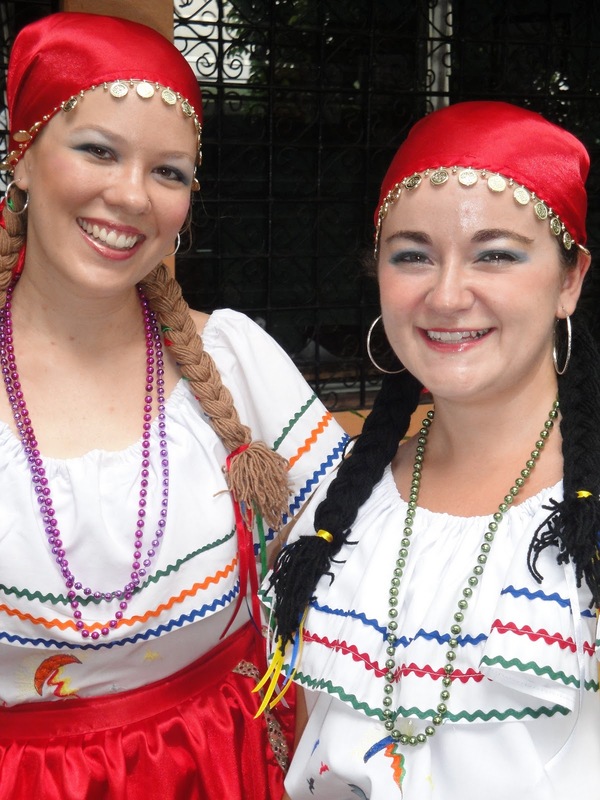 Regina Lacayo arrived at the Center in 2009, after receiving a Project Education scholarship to study at the National Autonomous University of Nicaragua. The scholarship program allowed her to pursue her dream of seeking a higher education. 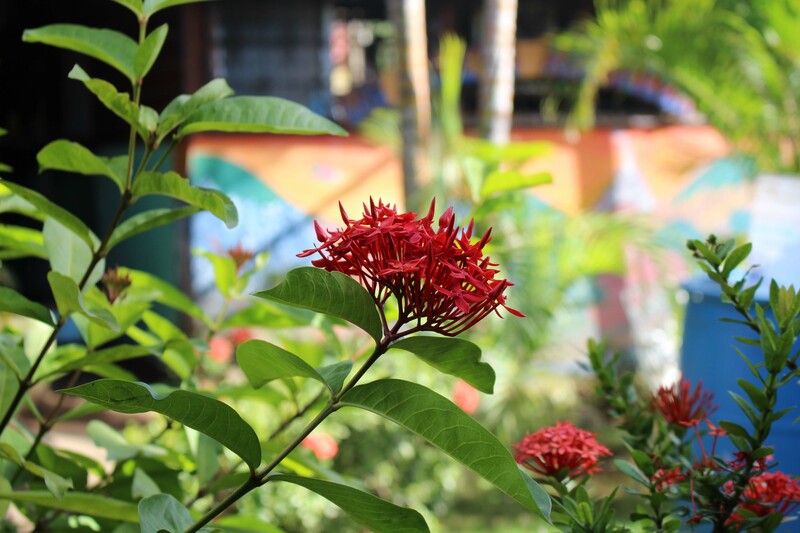 “The Center made me a more enthusiastic and optimistic person. Before entering the scholarship program, I hadn’t been able to continue my studies. The Center gave me an improved outlook on life and allowed me to see myself as someone who could solve my own problems,” she said. In return for her scholarship, for her service hours at the Center, Regina helped organize the Center’s weekly celebration of Mass and volunteered at the library. When the library coordinator left for a new job, Regina, and a fellow scholarship student, temporarily took over coordinator duties. 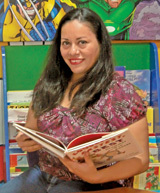 Regina used her college education and the library skills that she developed at the Center to find a job as the Library and Cultural Events Coordinator at the Nicaraguan-North American Cultural Center in Managua…where she has discovered a passion for English language literature and facilitating activities for children. Regina is truly one of the Center’s success stories! 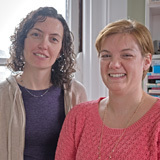 Today, Regina stays connected to the Center by serving on its Members’ Board. She has also organized fellow scholarship students to make sure they stay in touch. “I left a part of my heart at the Center. Though I don’t see my friends and colleagues every day anymore, I know they will always be there to help and support me,” she said. You can provide a life-empowering scholarship for a student like Regina. Click here, then click sponsorship form. 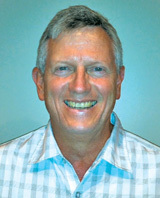 Alan Brown, through his graphic design company, Photonics Inc., has guided the “look” of Friends of Batahola (FOB) for more than 10 years. 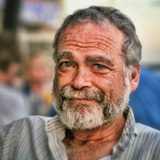 Alan’s work with FOB began when board member Sue Keefe asked him if he would design the web site. He laughed, “One never turns down Sue. She asked me to do one thing. I volunteered for the rest.” The “rest” that Alan is referring to is this newsletter and all of the other print materials that FOB has needed over the years: brochures, annual report, flyers, you name it. Alan is no stranger to pro bono work. 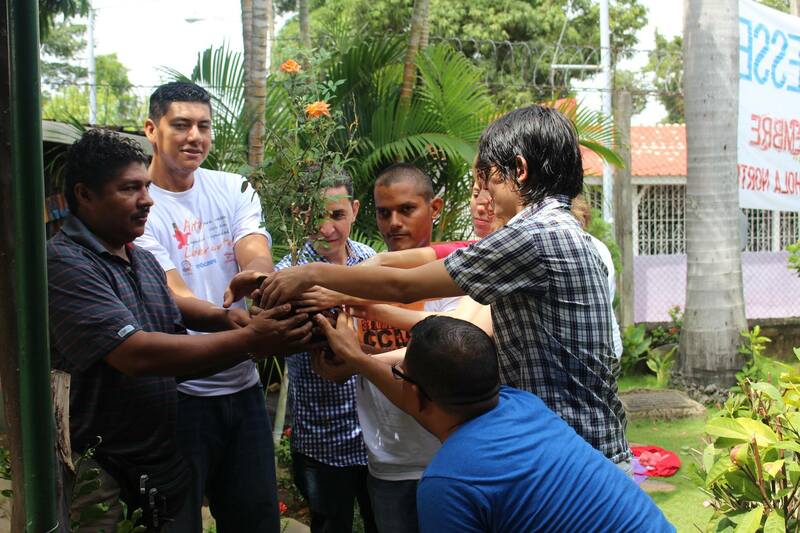 In addition to his work for FOB, Alan has donated his services to at least seven other not-for-profits. What motivates his generous and compassionate giving? Alan said it’s the Jewish concept of Tikun Olam, meaning to repair the world. He said, “It’s our responsibility in this world to give to the greater good. If we do nothing, it’s the same as taking away from the greater good. To me, everyone has the responsibility to repair the world. I don’t have gobs of money, but I can offer the resources of my company.” The talented resources that Alan has assigned to FOB projects are two of his most experienced designers, Michelle Markwell and Stacie Brown (not related!). Both designers are incredibly professional, creative, and wonderful to work with. Why does Alan continue, year after year, to help FOB? Alan said it’s because he respects the people that are involved with Friends of Batahola and their passion. “I like what the organization does. It’s worthwhile work. I feel like I’ve adopted Batahola,” he said. Thank you, Alan, for all that you’ve done, and continue to do, for FOB. You’re the very definition of a Friend of Batahola, and your contribution to our efforts is priceless. Alan said his wife told him the following story. Maybe you’ve heard it? To Alan, it represents Tikun Olam, the Jewish concept that we’re all called to repair the world, even if we can’t repair the whole world. In his spare time, Alan is an illustrator and photographer. Each year he publishes a book of his work and gives it as a gift to his clients. His dream is to open a gallery to exhibit his and other artists’ creations. Alan is also a proud first-time grandfather of a beautiful two-month-old granddaughter. Gracias, Alan, for being such a good Friend of Batahola. Students participate in focus groups to discuss and show visually how they feel when online. The Center is buzzing with excitement because of the grant it recently received to embark on a five-year long journey to advance (safely!) into the digital age. The Center was granted money to purchase laptop computers, a color printer, and a projection screen. As part of the grant, the Center must address the important issues of online safety, cyberbullying, and virtual violence with both students and staff. Reyna Bravo, a digital communications expert, has just arrived at the Center to guide it through this important project. As part of the educational process, students and staff will launch a Facebook campaign against online violence. And, using its new color printer, students will create posters to hang in the community, promoting a healthy online environment. The priorities of the Center are to work with women and children who most bear the weight of social and economic inequity, to break the cycle of poverty, and to restore hope in a better tomorrow. These priorities are at the heart of the Center’s mission to empower and transform its students and community through access to education, arts, and culture. 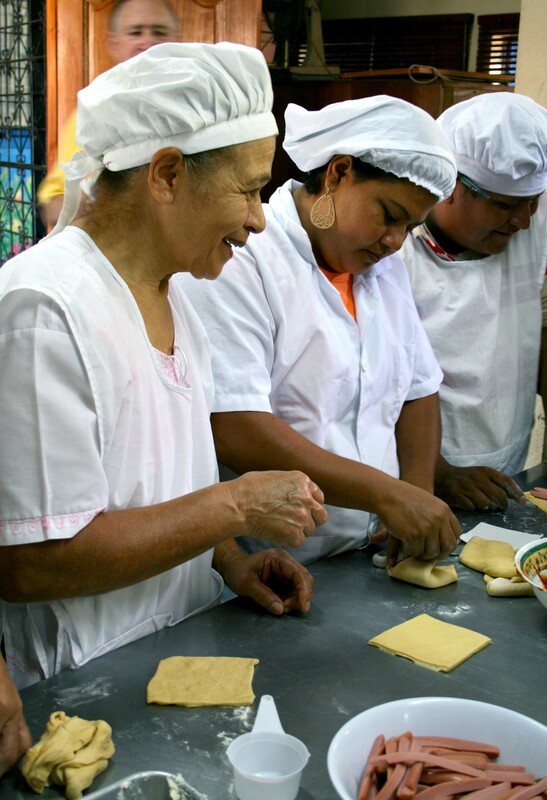 Since 1983, the Center has helped thousands of women, children, and youth to defend their rights, finish their schooling, find and develop new sources of income, and improve their standard of living. If you’d like to contribute to this work, please make a donation today. We need your support. Thank you! Two former and beloved Friends of Batahola board members passed away in 2016: Mary Ann Antrobus and James O’Beirne. They leave lasting legacies of time well-served on the board. They were dedicated to the mission of the Center and loved its students and staff. Mary Ann and James brought their own unique spark of personality to their work. Our sincere sympathy and love go out to the spouses and family members of both Mary Ann and James. 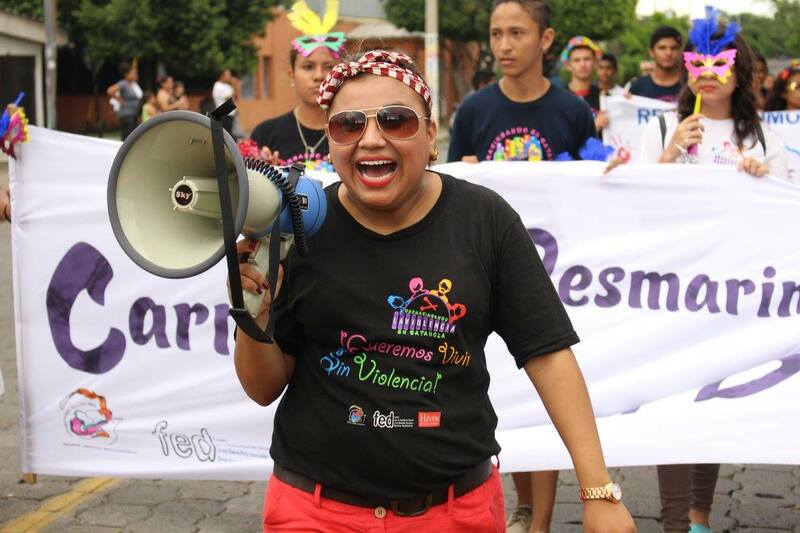 Center staff and community members march against gender violence in Nicaragua. 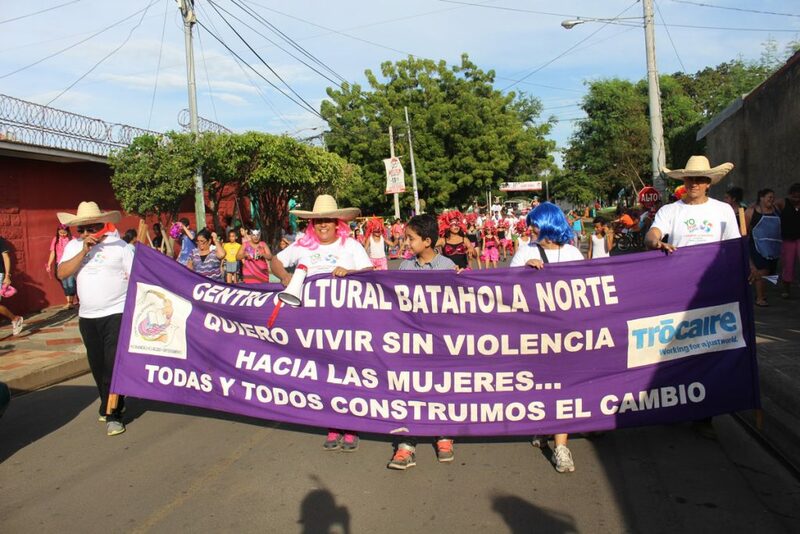 This past November, members of the Center’s women’s group, anti-violence promoters, and Batahola community members took to the streets to advocate for women’s right to be free from physical and emotional abuse. 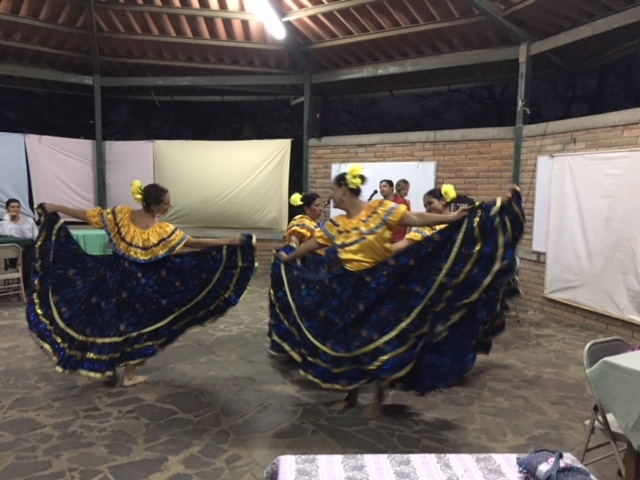 This year, the event focused on raising awareness of the many resources available for combatting gender-based violence in Nicaragua. Along the route, promoters handed out informational pamphlets. After the march, activists and onlookers returned to the Center where a variety of women’s and anti-violence organizations gathered to share more information. Each group presented its material in a fun yet powerful and creative way. 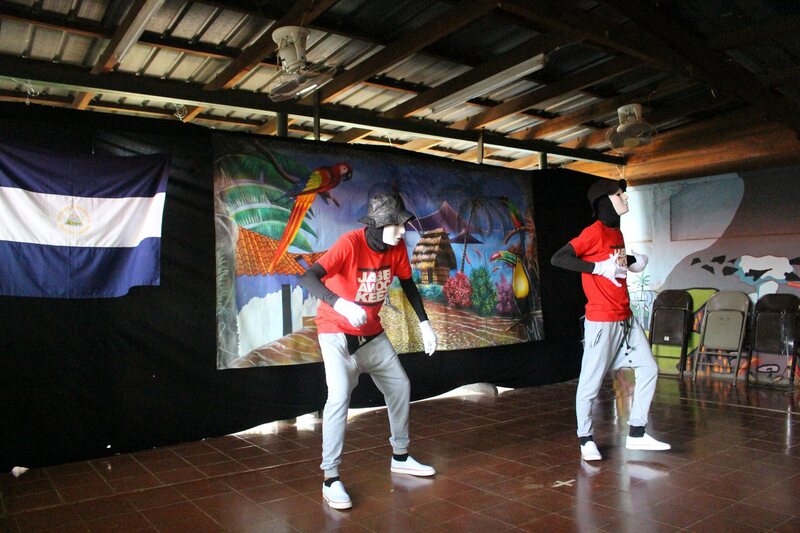 For example, the Men’s Network from the Jorge Dimitrov neighborhood put on its renowned puppet show that focuses on how men must counter traditional machismo gender roles. Ivania Pineda, head of the gender-based violence project at the Center, said, “Events like this are of the utmost importance for preventing gender-based violence. Artistic presentations attract people where they can have fun and learn at the same time.” The day was a success with about 300 people participating. 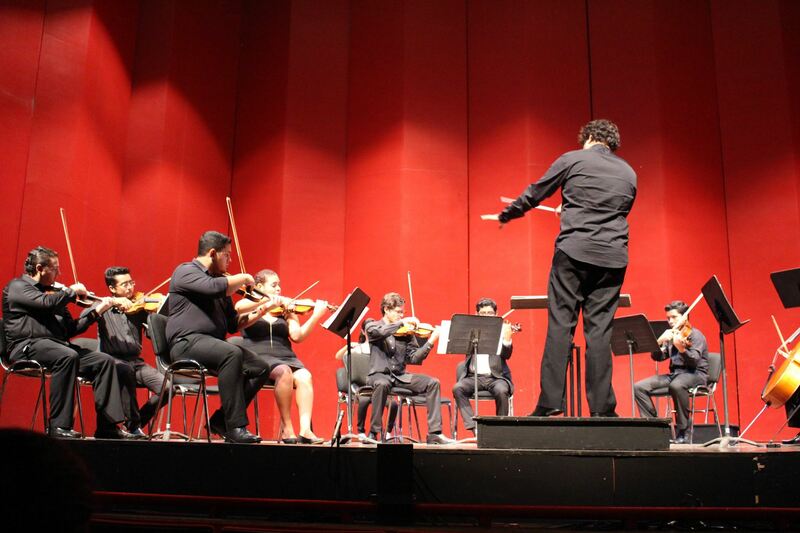 Online Extras: Guitar Students and Their Teacher Win Praise, an Award, and an Appointment! 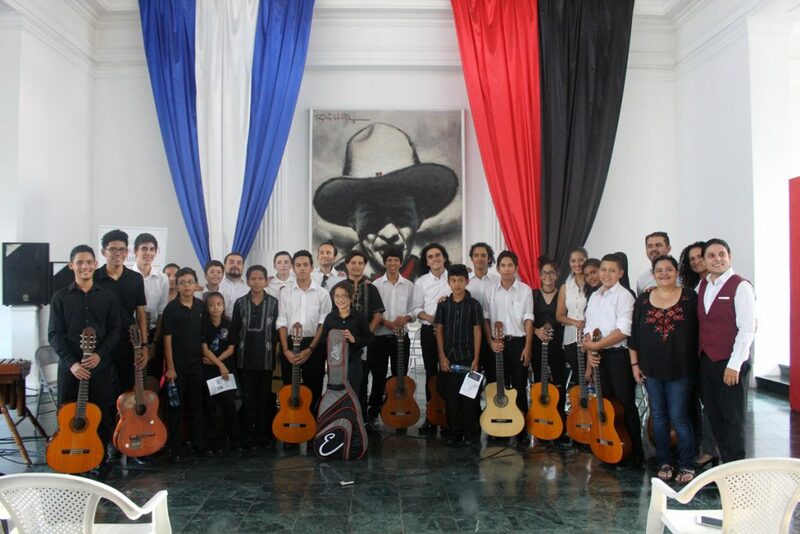 Nineth Larios (far right in front), her students, and other invited guests at the International Guitar Festival held in Nicaragua in November. 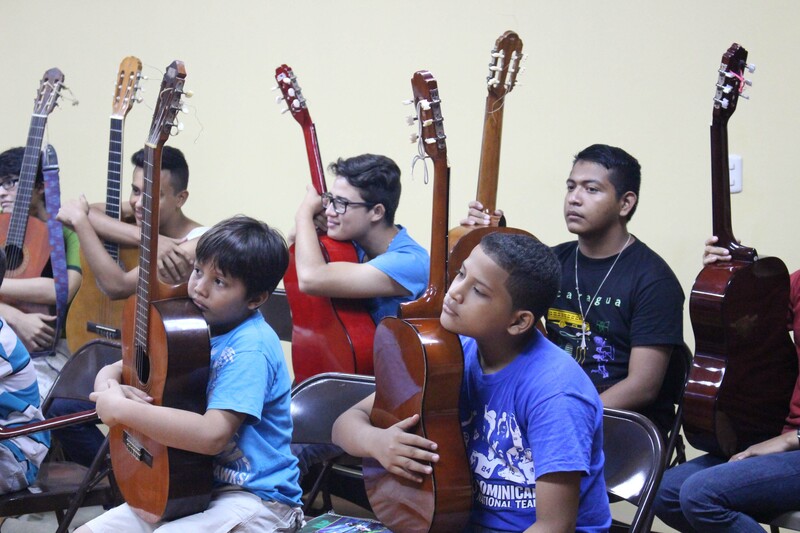 This past November, our dedicated guitar students and their talented teacher, Nineth Larios, participated in the International Guitar Festival which was held this year in Nicaragua. 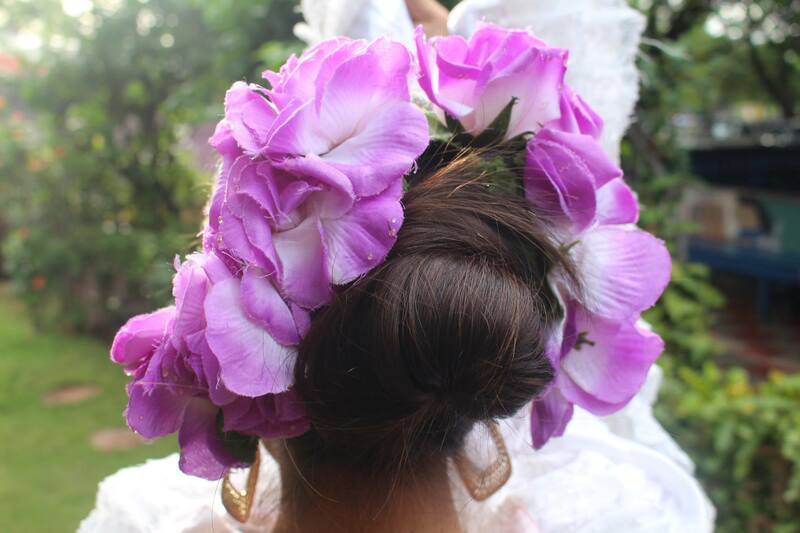 The annual festival was founded so that Central Americans could share their musical styles and gifts. Genesis, an eight-year-old student from the Center who began studying guitar this year, won second place for her performance and technique in the children´s category. Congratulations to Nineth and all of her guitar students for their devotion to music and their beautiful representation of the Center. Bravo! You can see eight-year-old Genesis give her award-winning performance on Facebook, Friends of Batahola, November 25 post. Students wrote “I Wish” poems in English class. 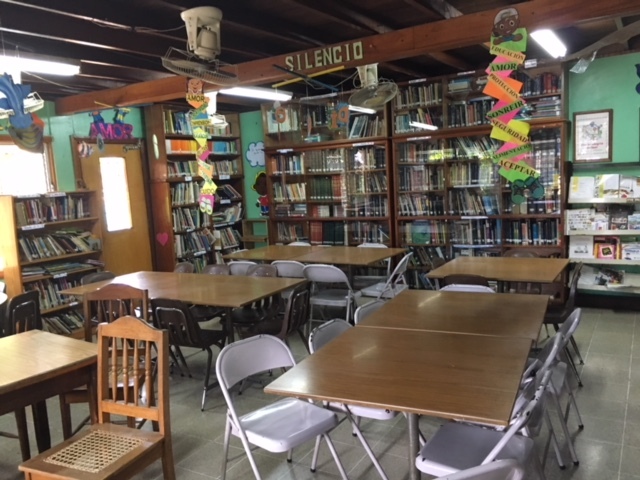 Learning to read and write English is a challenge for our students, but it opens doors to opportunities, making the course one of the most popular at the Center. To read the poems, click here. Go to friendsofbatahola.org and watch the Circle of Commitment video on the home page. While there, explore our newly redesigned web site.